Remember all those camping and fishing trips you used to take, but had forgotten to take spare batteries? Well you no longer have to worry with our new on line shop here at C L Promotions and our sister site Calendar Lady Promotions. All of our products are Eco Friendly and are all either wind up or solar powered products to help take the strain off Mother Earth. 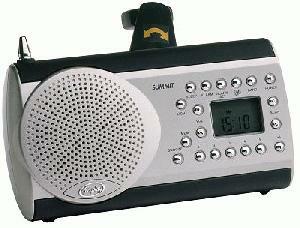 Our Freeplay Summit Self Sufficient Solar Multiband Radio is the first compact multiband radio incorporating Freeplay unique self-sufficient energy technology. This top end radio combines unparalleled sound quality with the reliability of multiple power options: wind up, solar and rechargeable. The summit comes with an AC adapter. When the times come when you cannot wind up the product or have no external power, there are solar panels that store the days sunlight into renewable energy. This is truly a revolutionary technology in the struggle to keep the world a little greener. For more information about our Freeplay Summit Self Sufficient Solar Multiband Radio and any of our other Eco Friendly Products by linking to our other website.